Stephen is Senior Partner, Clients and Markets and a member of the PwC Middle East Executive Board. Stephen is responsible for strategy, investment, transformation and market activities in the MENA region with over 220 Partners and 4,800 staff. Central to this, Stephen is overseeing the digital transformation of PwC in the region. This includes our client facing propositions - Disruption, Engagement, Digitisation and Trust and the digitisation of our services and ways of working. He is a specialist in Advisory services to Sovereign Wealth Funds, Global Financial Services Institutions, Government, Infrastructure Programmes and Private Equity Investors advising at Board and CEO level. 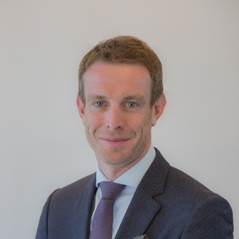 Stephen joined PwC in London in 1996 becoming a Partner in 2008. Prior to his current role, Stephen was the Country Senior Partner in Qatar and prior to this a Partner in our London Advisory practice. Stephen worked with many leading global banking, insurance and fund management clients internationally, advising them on transformational and post transaction projects. He is a Chartered Accountant (UK FCA) and a regular conference speaker on Macro-Economics and disruption.